The G7 Education Ministers' Meeting will be held in Kurashiki, Okayama Prefecture, on May 14 and 15, with related ministers of the Group of Seven and others from international organizations gathering to discuss global education challenges. Under the theme of "Innovation in Education," representatives from Japan, Britain, Canada, France, Germany, Italy, the U.S., the European Union, the Organization for Economic Cooperation and Development and UNESCO, among others, will discuss education's role in fostering peace and prosperity in the world. 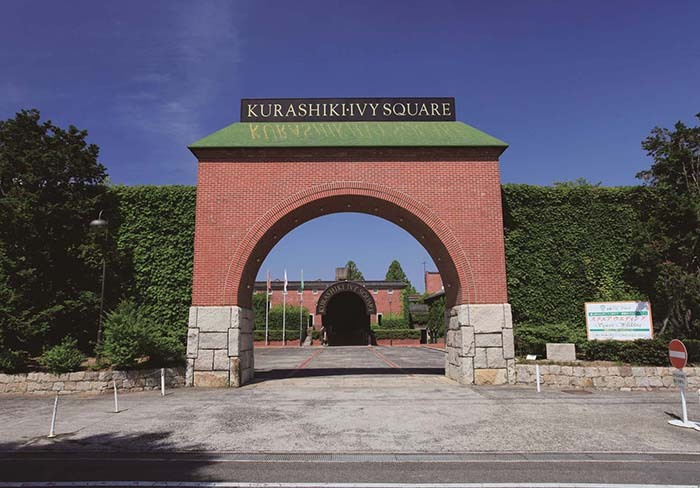 The meetings, symposiums and other events are to be held at Kurashiki Ivy Square in the Kurashiki Bikan Historical Area, a space that maintains traditional structures and a historical atmosphere. Meeting participants will also travel on excursions to visit schools and places of interest in the area. In connection with the education ministers' meeting, the city of Kurashiki hosted the G7 Kurashiki Children's Summit at Kurashiki Ivy Square in March. The summit was attended by some 240 junior high school and high school students from Japan and other G7 countries, teachers, Minister of Education, Culture, Sports, Science and Technology Hiroshi Hase, the organizing committee of the G7 Education Ministers' Meeting and others involved in education. Yaame Iseki, a senior at Seishin High School, delivered a speech on her experience attending the ninth UNESCO Youth Forum in Paris in October. 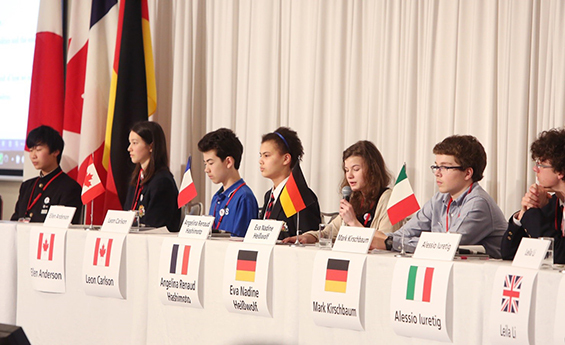 Iseki then facilitated a panel discussion, titled "Think Globally, Act Locally," in which children from the G7 countries spoke in English about education in the future. They released the "G7 Kurashiki Children's Summit Declaration," which contained four pledges: We will respect others as ourselves; we will do our best as students; we will act locally; and we will think globally. 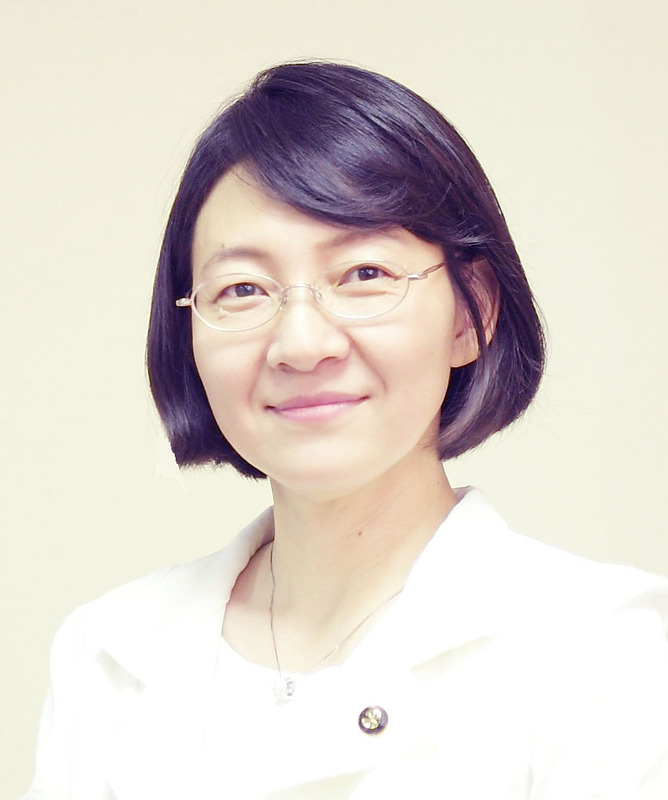 The declaration will be sent to Hase so that he can present it at the G7 Education Ministers' Meeting. As a center of education and culture, Kurashiki is the ideal venue for the education ministers' meeting. The city is home to many researchers, educators and people who have contributed to cultural development. Kurashiki Ivy Square is one of Kurashiki's main cultural centers and tourism sites. The square was created after refurbishing a spinning mill dating back to the Meiji Era. It has a hotel, restaurants, multipurpose halls and various museums. In May, green ivy will cover the red brick of Kurashiki Ivy Square, providing a vivid and multicolored backdrop to the retro atmosphere. Kurashiki Ivy Square is part of the Kurashiki Bikan Historical Area, one of the most popular tourist sites in Japan. Thanks to the many white-walled buildings, the area is nicknamed "the town of white walls." Traditionally built houses line the bank of Kurashiki River and the image of the buildings and the willow trees reflected on the water is fantastic. The city also maintains its traditional theme with the white-walled Kurashiki-kan (Tourist Information Office). Kurashiki is also home to the Ohara Museum of Art, which housed the first collection of Western art in Japan. The Kurashiki Bikan Historical Area features an exotic mixture of Japanese and Western influences with soft lights beautifully illuminating the space in the evening. Thanks to collaboration between the municipality and area residents, the area preserves many buildings the way they were in the Edo Period and Meiji Era. The community-wide project is well known throughout Japan and the area has won various prizes, including the Asian Townscape Award. The breathtaking scenery is just one of many things visitors can enjoy. Other sites such as the Kurashiki Museum of Folk-Craft are also interesting and the many shops selling traditional crafts and local delicacies offer something for everyone. The city of Kurashiki faces the Seto Inland Sea and enjoys a mild climate with little precipitation. The city of about 480,000 population lies in the southern part of Okayama Prefecture, which is known as "sunny country." In the western part of the city, which was a prosperous trading hub in the Edo Period, the Takahashi River runs into the Seto Inland Sea. The city is divided into eight areas: Kurashiki, Mizushima, Kojima, Tamashima, Chayamachi, Sho, Funao and Mabi. The venue for the G7 Education Ministers' Meeting is in the Kurashiki area. Mizushima is a heavy industrial area and Kojima is known for the production of school uniforms and jeans. Tamashima is known for peaches while Funao has abundant sweet peas and muscat grapes. Mabi is known for bamboo shoots. Manufacturing is a major industry in the city, as it is the fourth-largest municipality in terms of shipping manufactured goods, including petrochemical goods and cars. Additionally, the city of Kurashiki leads other municipalities near the Takahashi River in a consortium to tackle the issues of the aging society and work together in making the area prosper. In March 2015, the city and other municipalities near the river set up a committee to promote collaboration in development and came up with the vision for a growth strategy in the Takahashi River area. The city is planning to promote the Takahashi River area via the G7 Education Ministers' Meeting. 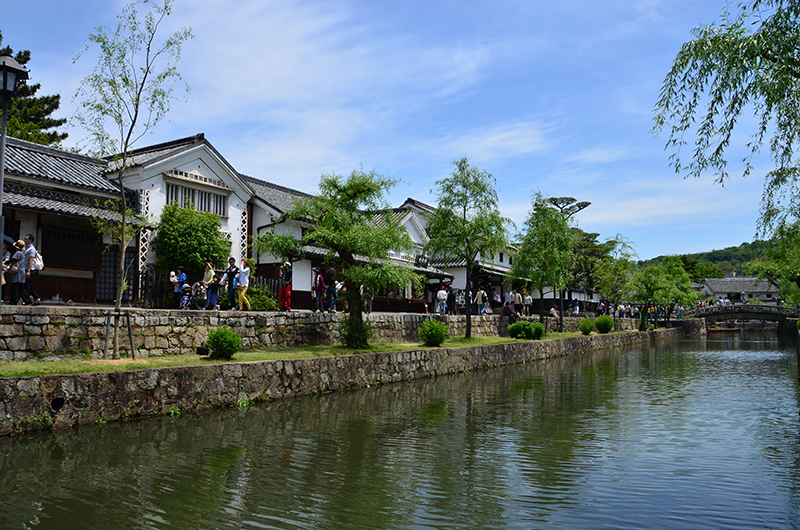 For visitors, the Kurashiki Bikan Historical Area offers many attractions such as the Ohara Museum of Art, Kurashiki Museum of Folk-Craft and Kurashiki Ivy Square, but other areas of the city also have attractions to lure visitors. For example, there are large commercial developments near JR Kurashiki Station, while the Kojima area, in the southern part of the city, is home to Washuzan Hill and Ojigatake Hill, famous for their beautiful landscapes in Setonaikai National Park. As the home of jeans in Japan, Kojima Jeans Street and the Jeans Museum are fondly visited by denim lovers. The Nozaki's Historical Residence, which belonged to an Edo Period salt merchant, and the Kojima School Uniform Museum are also in the area. In Tamashima area, visitors can enjoy nostalgic streets dating to the Showa Era and tea culture in a location dedicated to maintaining an old town feel. I am very honored the city of Kurashiki will host the G7 Education Ministers' Meeting in 2016. As the world is full of challenges such as environmental protection, the eradication of poverty and peacekeeping, the role of education is particularly significant. I expect meaningful discussions will be held in Kurashiki and the city is fully prepared to welcome guests from all over the world. Kurashiki is a city with a history of urban development that has had a focus on education and culture since the Edo Period. Attracting 5 million tourists a year, Kurashiki is a globally popular tourist destination that is seeing an increasing number of foreign visitors. It also has many cultural and tourism events throughout the year. I sincerely hope the Kurashiki G7 Education Ministers' Meeting in Okayama will be an opportunity for many people to get to know the beauty of Kurashiki and visit us.